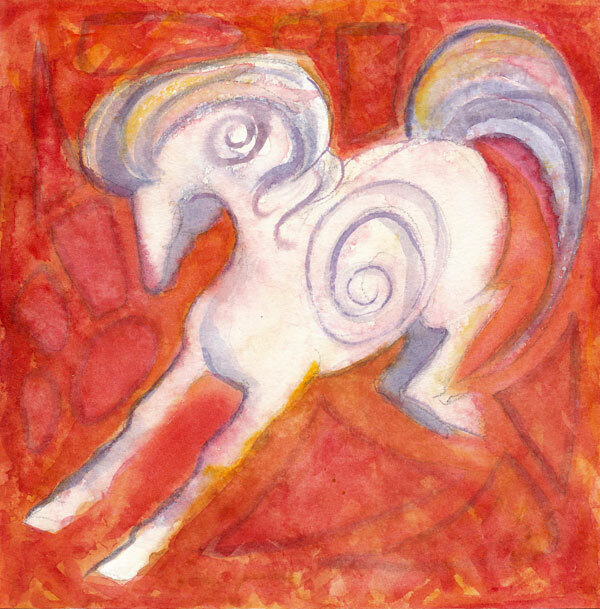 White Pony is a small watercolor painting (8″ x 8″) on heavy watercolor paper. A couple of days ago, my mare Roxie and her pasture-mates were kicking up their heels and running and playing. It was freezing out, but they seemed to know something we didn’t. As I drove back home, I saw that several horses in the area were doing the same thing. I think they know spring is very near, and we’re seeing the last of the bitter cold. I’m pretty sure they were celebrating! This entry was posted in Uncategorized and tagged equine, horse, Linda Kay Thomas, Linda Snider-Ward, Louisiana artist, small art, watercolor, whimsical art. Bookmark the permalink.